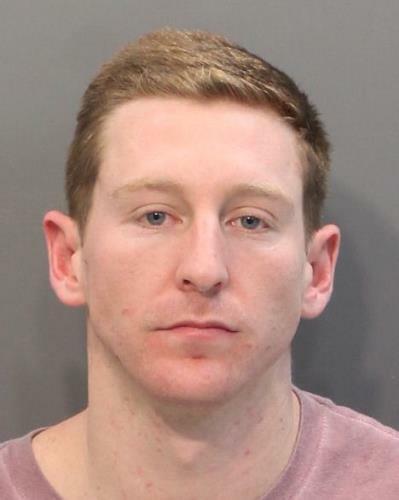 A Chattanooga woman told police that her ex-boyfriend choked and strangled her, threw her down stairs repeatedly, and urinated on her. In the incident on Thursday, the woman said Wilson came into her unlocked apartment without permission and woke her up. She said he was looking for someone and acting strange. She said he then started yelling at her and throwing things in her apartment. She said after they argued, Wilson told her to call work and say she was not coming in. The woman said after she did so that Wilson put a blanket on the bed and threatened to tie her up or put her in the blanket or she could walk out of the apartment willingly. She said she was scared so she walked out. She said Wilson took her to his house and, once there, started torturing her mentally and physically. She said he suffocated her with pillows, blankets and his hands. She said at one point he tried to rip her jaws apart, choke her and then throw her down the stairs repeatedly. The woman said he told her how he would carry out her death and was trying to think of a place to take her. She said at one point he pulled out a knife and carved an upside down cross on his chest. She said he then held the knife to her throat. She said she was able to get out of the house and go to a neighbor's. But she said Wilson came out naked and grabbed her, then dragged her back into his house. She said he then urinated on her and made her get naked and sit on the cold floor wet from urine. The woman said Wilson finally passed out from drinking and she was able to run out of the house. She ran to a nearby house and called 911.